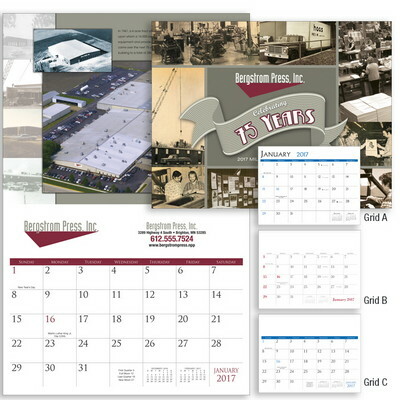 The Custom Stapled Calendar offers an economical 365 days advertising option and allows adding brand logo for Business Swag. If you are looking for an advertising method that is effective for 365 days of the year, our Custom Stapled Calendar is the perfect choice for you! This 12-month staple bound appointment calendar features 13 custom images to ensure that your advertising imprint shows up every month. The calendar grid can start with any month and it is available in English. The event calendar features fast turn times and offers an economical solution for everyday advertising impact. Perfect giveaway option for trade shows, seminars and promotional events, this calendar is worth giving a try!